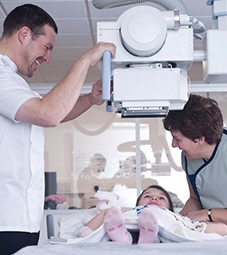 We've invested £260 million in our facilities. 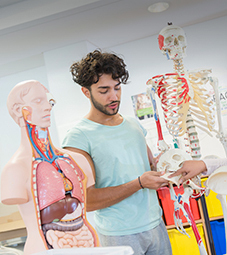 Whether it's our state-of-the-art Parkside Building which includes the largest concentration of TV studios between London and Salford or the simulated operating theatre and hospital wards at our City South Campus, we're making sure you have the best possible space to learn. 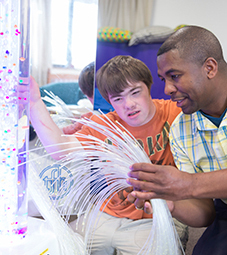 Take a look at our facilities below. 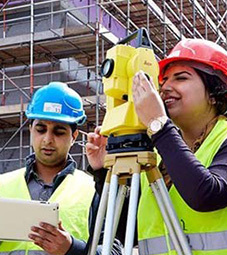 The Curzon Building is a state-of-the-art addition to our City Centre Campus. 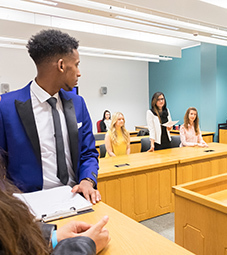 IT features modern facilities including our psychology labs, mock court room and CITY trading room. 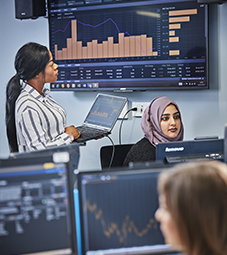 Students on our Finance and Economics courses have the opportunity to work in our ‘CITY Trading Room’ using the same investment analysis software as traders, financial analysts and decision makers in the investment industry. We're expanding! 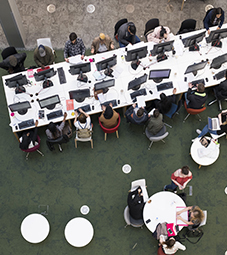 Alongside our £60 million Curzon Building, work is now complete on our new six storey extension, Curzon B, which will be able to house over 3,000 students and staff, giving you more study and recreation spaces. 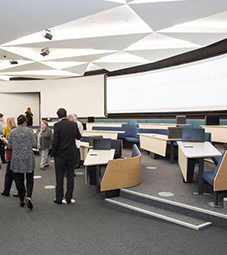 Curzon B boasts an innovative lecture theatre called The Hive that features raked, group activity seating, integrated technology and excellent sight lines. 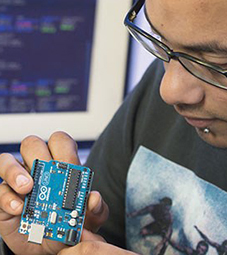 Millennium Point is home to our computing, engineering and built environment courses, and has recently undergone a £6.5 million refurbishment and facilities upgrade. 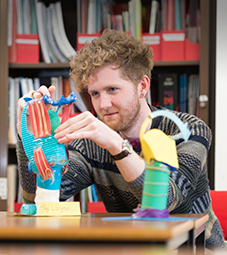 It's also home to Birmingham Thinktank, an award winning science museum. 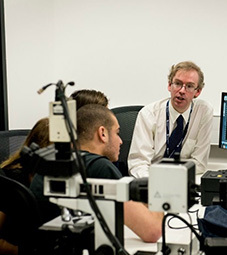 The laboratories are well-equipped for all our computer networking courses, as well as specialist areas for practical work such as forensic and ethical hacking technologies, wireless and mobile technologies and radio frequency identification technologies. 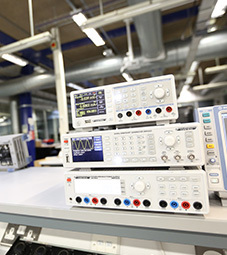 Our embedded systems laboratories are used to develop real-time systems, such as specialist hardware training and development resources, and industrial-standard software development and simulation tools. The suite is divided into three main areas a wet lab/pilot facility a fully equipped analytical suite and a microbiological lab. 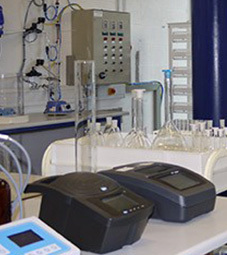 This facility offers state of the art analysis and testing of environmental samples as well as scientific evaluation of lab scale and pilot scale technologies and processes. 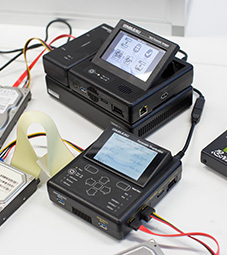 Our specialist Digital Forensics Lab boasts a plethora of industry standard digital forensics and data recovery resources to provide you with the best learning opportunities and industry-relevant hands on practical skills. 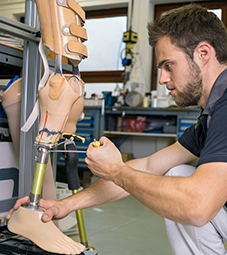 You’ll work in advanced automotive workshops and laboratories that include industry-standard equipment such as computer numerical control (CNC), three-dimensional scanning and rapid prototype facilities, engine test labs and reverse engineering. 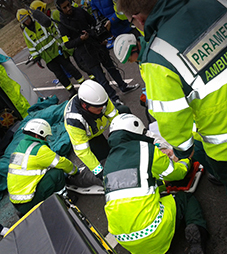 City South Campus in Edgbaston, to the south of the City Centre, is home to our health and social care courses. 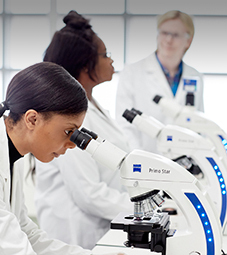 Our new £41 million building is the home of specialist laboratories for our new courses in sport and life sciences, and our School of Education. 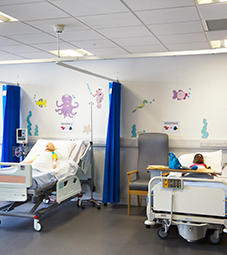 Our students learn in the most realistic settings – from a mock operating theatre and hospital wards to a fully equipped birthing room and virtual radiotherapy suite. 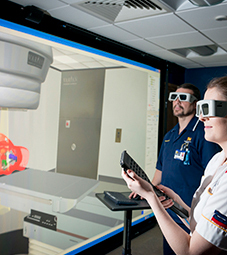 Where better for our Diagnostic Radiography students to get to grips with the technology used in their profession before they go on placement than in our very own X-Ray room? 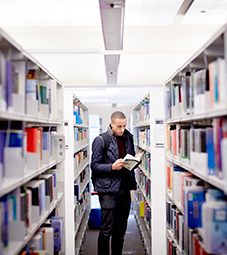 Our Mary Seacole library is one of the UK's largest specialist health education libraries with an extensive of range of information and reference materials set out in a relaxing environment. 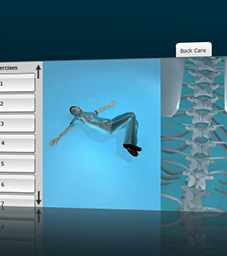 The Virtual Case Creator (VCC) allows us to create of online, interactive and engaging case studies and scenarios for you to practice your skills before you get on a ward. 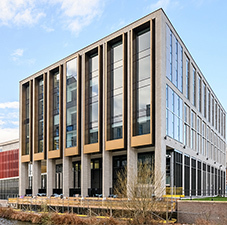 The 'Parkside Building' is part of the City Centre Campus expansion and provides a state-of-the art home for the Faculty of Arts, Design and Media (ADM), incorporating the Parkside Media House. 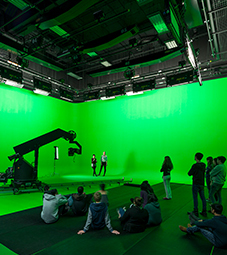 Studio B is a green screen studio for recording material that will then have CGI (computer-generated imagery) added to form the final image. The studio has a motion control camera, ‘Milo’, which can reproduce the same programmed move repeatedly. 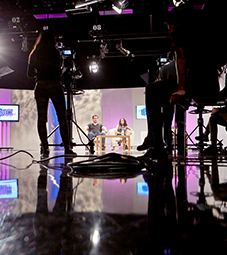 Three of the studios are able to do live multi-camera production and all studios (TV and radio) can be interconnected. It’s taken 22km of wire to make that happen! The Media Centre is fully digital. 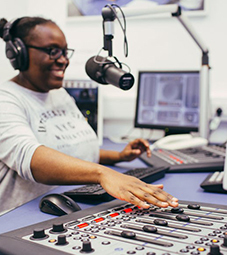 Our radio studios can work independently, or be linked together to form a radio station. 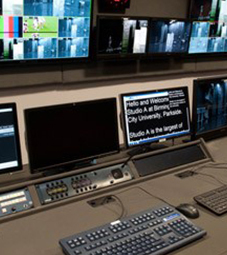 It is possible to get audio from any part of our media building. The Media Centre has full industry-standard dubbing suites. 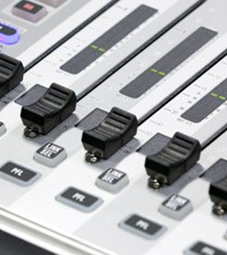 Based on a multi-layered ProTools desk, the suites can dub both film and TV projects with up to 120 simultaneous sound sources. 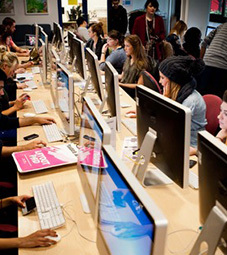 he Media Centre has four fully industry-standard edit suites, based on the industry-standard Avid editing system, which is used in almost all films and the majority of UK television. 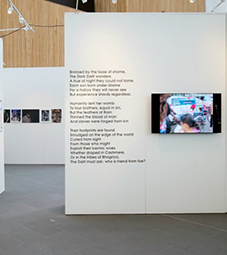 Parkside Gallery is a leading art and design exhibition space within Birmingham City University's Parkside Building, with an emphasis on, but not confined to, design-led practice. 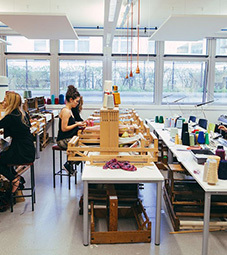 In our dedicated Weave Room, you'll find 23 Harris Looms and 3 Jacquard Looms to create weave designs in as many colours as you wish. 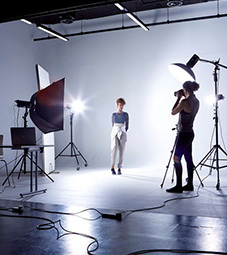 Our high spec and fully equipped photography studios can be used collaboratively across the Faculty. 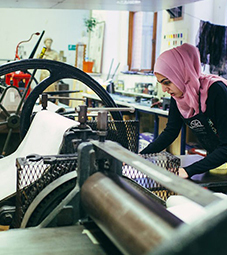 Our Textiles Print Room is always a hive of activity with 3 long print tables, steam cloths and Procion Dye printing. 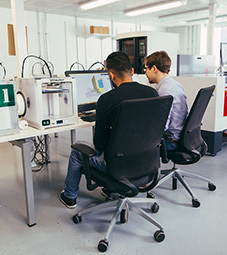 Our 3D CAD Lab includes 3D printers - perfect for scale models, prototyping and concept development. 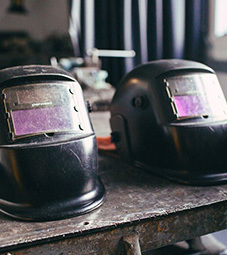 Our metal fabrication workshop gives you access to a range of metal welding equipment and techniques including tig welding and plasma cutting. 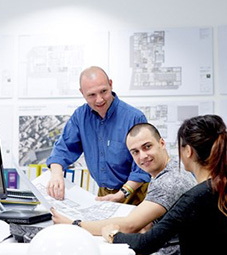 Our Architecture studios are flexible spaces, perfect for individual and group work. 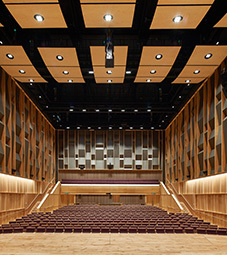 The Royal Birmingham Conservatoire features 9,000 sq m of purpose designed teaching, rehearsal and state of the art performance space. 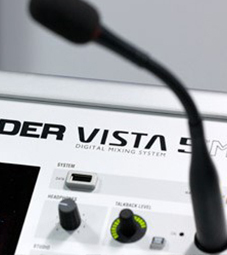 The audio and video digital infrastructure is designed to enhance and support live performance and to allow students to experiment with new technologies. 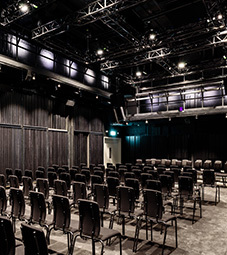 The intimate Recital Hall has a variable acoustic and is a flexible space with a floor-level stage area. 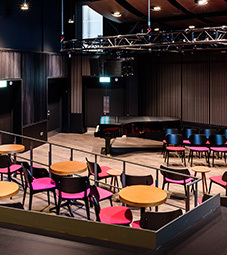 A bleacher seating rake of 146 capacity can be extended for concert set-up, or fully retracted underneath a small technical balcony for other seating and event set-ups including cabaret and theatre style. 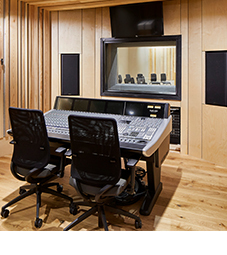 We have worked with internationally renowned studio designers, acousticians, architects and leading manufacturers to build recording rooms of the highest commercial standard. 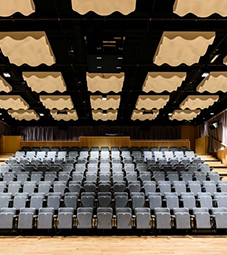 The Concert Hall has been acoustically modelled to optimise the experience of performers and to ensure the best auditory experience from every seat. Birmingham’s only dedicated Jazz venue, Eastside Jazz Club. 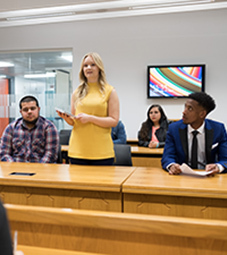 State-of-the-art facilities include a Meyer stereo PA system with Dante audio network for flexible location recording purposes, and SSL L300 sound desk with 24 mic channels (maximum I/O 568 in/out 600 with Dante) and more. 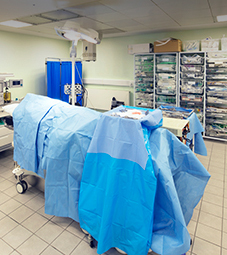 The Lab is a cutting edge, completely flexible black-box studio with a technical walkway suspended around the perimeter. 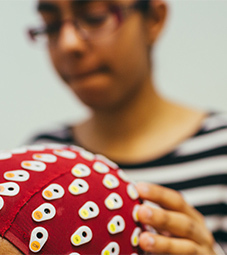 Perfect for art performances, workshops, theatre performances and rehearsals. 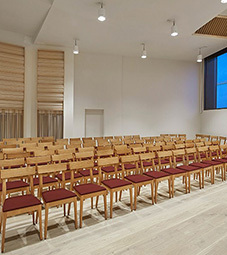 Featuring a Eule Pipe organ and features overhead performance lighting and Dante audio network for flexible location recording purposes. With access to Steinway model D or model B grand pianos, there is also a wide range of other instruments and equipment available for students. 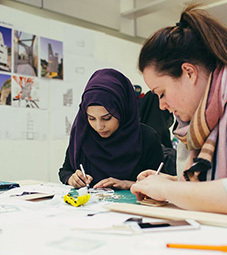 Studying at the School of Art places you firmly in the heart of city’s thriving cultural quarter, which includes the new Library of Birmingham, and Birmingham Museum and Art Gallery. 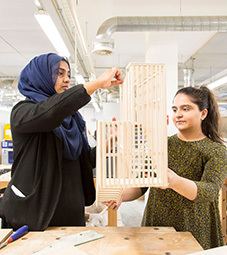 Our Grade 1 listed building is a superb combination of Venetian Gothic architecture and modern workshops, learning and social areas, a specialist arts library, and public exhibition space. 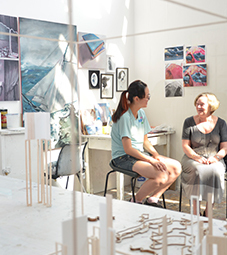 Our studio spaces make excellent use of height and light, and a special screening system allows each full-time student a dedicated area to work in throughout their course. The intaglio process was made famous by Rembrandt. 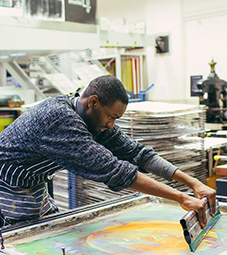 The etching presses uses polymer plates and you'll be encouraged to bring new ideas to rival the greats! 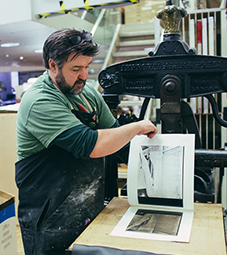 In our dedicated print room we have the Albion Press. 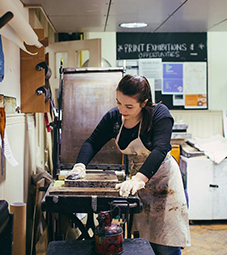 A traditional relief printing method, many students are bringing new ideas and techniques to the process. 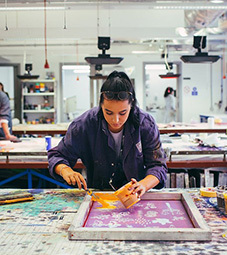 Screen printing on anything from paper, acrylics, metal, MDF and fabrics. It's not just plates you can get your hands on - we also offer a stone lithography press where the design is engraved into limestone. 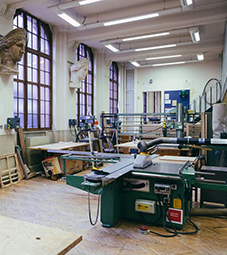 Ranging from hand tools such as chisels and power hand tools, to electric fret saw and a mortice machine, you'll have everything you need in our wood workshop. 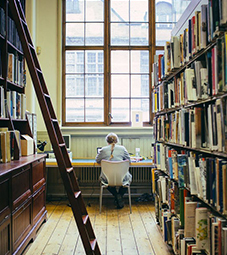 Our library contains a wealth of artists' biographies, catalogues, art and design magazines and DVD updated throughout the year. 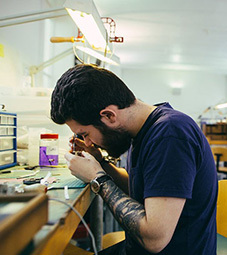 The internationally renowned School of Jewellery at Birmingham City University is the largest in Europe, with unrivalled facilities and expertise to develop your career. 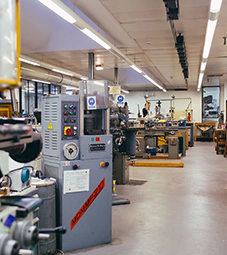 Our basement workshop is fitted out for light engineering, metal spinning and pressing, forging, welding, and much more. 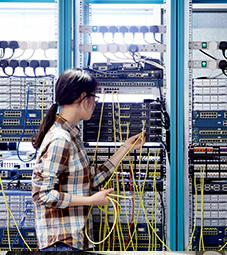 All to an industry-standard. 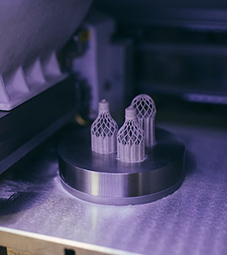 We offer state-of-the-art 3D printing and programmes. 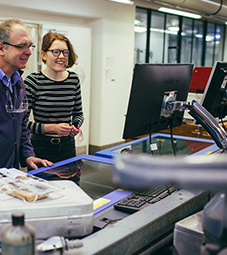 The industry-standard Co2 laser cutter can cut and engrave a wide range of materials from plastics, to wood. 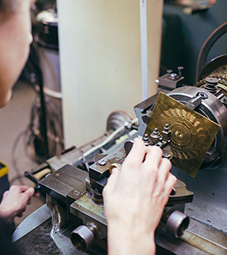 The rose engine is a historic machine used to embellish a finished product. 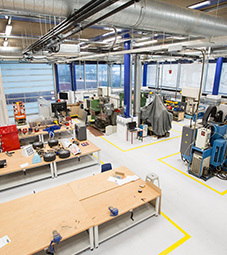 In our BA (Hons) Horology labs allows each student to have their own station. Here they make the elements needed for creating their own clocks. 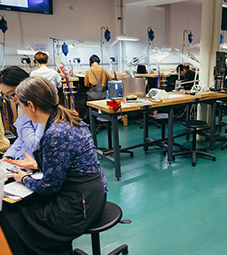 The Gemmology Department, located in the Assay Office, provides students with a wide array of cutting-edge facilities, including diamond grading lights, microscopes, refactometers, polariscopes and more.